Justice Harlan Fiske Stone's majority opinion in United States v. Carolene Products Co. is well-known for its statement of two principles. The first is that regulatory legislation affecting ordinary commercial transactions is to be afforded a strong presumption of constitutionality. The second principle, articulated in the famous Footnote Four, qualifies the first: such a strong presumption of constitutionality is not warranted when legislation appears on its face to violate a provision of the Bill of Rights, or restricts ordinary political processes, or is directed at discrete and insular minorities. At the time the decision was announced, however, Carolene Products was understood to stand for an important principle of constitutional federalism. This essay, originally delivered as a public lecture for Notre Dame Law School’s Program on Constitutional Structure, seeks to recover that understanding. This effort at recovery offers a reinterpretation of Justice William Day's majority opinion in Hammer v. Dagenhart (1918), arguing that it is best understood as incorporating and resting upon a principle of substantive due process rather than simply upon principles of constitutional federalism. This lays the groundwork for the development of an enhanced appreciation of the important role that the Fifth Amendment's Due Process Clause played in the allocation of state and federal regulatory authority in the Progressive Era, and of the signal role that Carolene Products played in the passing of that regime of constitutional law. This week on the Legal History Blog Facebook Page we’re spotlighting sources, suggested readings, and blog posts on crime and criminal law. Suggested readings include former LHB guest blogger Elizabeth Dale's Criminal Justice in the United States, 1789-1939, and more all week on the Facebook page. Via H-Law, we have the following announcement, regarding how to apply for a 2012 Cromwell Fellowship. In 2012, the William Nelson Cromwell Foundation* will make available of a number of fellowship awards intended to support research and writing in American legal history. The number of awards to be made, and their amounts, is at the discretion of the Foundation. In the past four years, the trustees of the Foundation have made three to five awards, in amounts up to $5,000. Preference is given to scholars at the early stages of their careers. The Society's Committee for Research Fellowships and Awards reviews the applications and makes recommendations to the Foundation. Applications must be submitted electronically, including the letters of reference, and received no later than July 13, 2012. Successful applicants will be notified after the annual meeting of the Cromwell Foundation, which normally takes place in the second week of November. An announcement of the awards will also be made at the annual meeting of the American Society of Legal History in St. Louis, MO, November 8-11, 2012. To apply, please send all materials to (and have letters of recommendations sent to) the chair of the Committee: Professor Cornelia Hughes Dayton. The other members of the Committee are Bruce Mann (ex officio) (ASLH President), Harvard University; Linda K. Kerber (2009), University of Iowa; William E. Nelson (2010), New York University; Kunal Parker (2012), University of Miami; and Chris Tomlins (2009), University of California, Irvine. For more information, follow the link and scroll down. * The Cromwell Foundation was established in 1930 to promote and encourage scholarship in legal history, particularly in the colonial and early national periods of the United States. The Foundation has supported the publication of legal records as well as historical monographs. The Q&A with Ted White concludes with another question from Al Brophy (UNC). It relates to both White's most recent book, Law in American History, Volume One, and to his earlier work, Tort Law in America. A: There strike me as two dimensions to the question. One is whether it makes sense to assume that in the antebellum years systems built on slave labor were fundamentally different from those based on "capitalism". The other is whether, if one assumes that capitalist systems increase the contacts people have with strangers, the emergence of a law of civil wrongs not arising out of contract--what we now call tort law--might have some relationship to capitalist modes of economic organization. I am not inclined to give strong causal weight to either possibility. First, one should not forget that antebellum systems of labor not premised on slavery were not exclusively "wage labor" systems in the mode of late nineteenth-century industrial enterprises. There were numerous gradations of labor categories: indentured servants, apprentices, family members in agricultural households, wage earners primarily attached to individual households, itinerant wage laborers who did seasonal work. There were some antebellum factory workers, and there were workers in the transportation sector. Moreover, the increased demand for labor as the territory of the United States expanded did not mean that newly arrived European immigrants necessarily entered the labor force as "free" laborers: most of them came either in some form of indenture with designated residents of America or as persons with established contacts to Americans in particular communities. So one would need to determine what "capitalism" means in that context. Whatever it means, it isn't necessarily in stark juxtaposition to slavery. After all, slave plantations were capitalist institutions, with slave often performing tasks connected to the dispersal of goods and services produced on the plantations in domestic and international markets. Second, the connection between the emergence of tort law and an economy featuring expanded contacts among strangers, as part of expanding transportation and commerce, seems a bit of a chicken-and-egg issue. Howard Schweber, in The Creation of American Common Law, posits a sharp distinction between "northern" and "southern" common law systems, argues that the idea of general common law duties, as opposed to more 'local' duties founded on traditional status categories, developed in the north (and not in the south), and that the enhanced technological development of northern states resulted in expanding the scope of common law duties, whereas that was not necessary in the south because, on the whole, its technological development remained attenuated. In the first edition of Tort Law in America I argued that the shift from a writ-specific, particularized 'common law' of civil injuries not connected to contractual relations occurred in part because an industrializing economy brought "strangers" into more contact with one another. At the same time I argued that the idea of tort law being organized around some general principles--civil duties owed "by all the world to all the world," a negligence standard to determine whether such duties had been breached--could be connected to the secularization of knowledge and to enthusiasm for "scientific" classifications of legal subjects. If one were to equate a writ-driven approach to civil injury with traditional expectations of conduct based on status (thus 'intentionally' going on someone else's land --trespass) would be categorized differently from inadvertently going on the land (trespass on the case, requiring something like 'fault') because of different expectations about the relationship of landowners to different categories of others, then I suppose one could argue, with Schweber, that technological development has a fragmenting effect on traditional social hierarchies and thus requires abandoning the particulars of the writ system for more general legal obligations. The problem I have with that argument is that one can't tell whether the change is primarily based on different ways of conceiving legal subjects (where do legal rules come from, how should legal fields be organized) or whether it is primarily a reaction to commerce and technology's creating different sets of social interactions. One should bear in mind that the process of classifying legal subjects around comprehensive principles, rather than around writs, goes on in all American common law subjects around the same time. Langdell's contracts casebook and Holmes' writings on torts appear, in their first editions, within five years of one another. Holmes criticizes Langdell, but not for seeking to create a classification system for contracts. So without making a closer analysis of ante- and post-bellum common law opinions, looking for implicit starting premises, I wouldn't be inclined to draw strong causal links among capitalism, slavery, the absence of slavery, and tort law in the early and late nineteenth century. New from Oxford University Press: Linda Greenhouse, The U.S. Supreme Court: A Very Short Introduction. For 30 years, Pulitzer Prize-winning journalist Linda Greenhouse chronicled the activities of the U.S. Supreme Court and its justices as a correspondent for the New York Times. In this Very Short Introduction, she draws on her deep knowledge of the court's history and of its written and unwritten rules to show readers how the Supreme Court really works. Greenhouse offers a fascinating institutional biography of a place and its people--men and women who exercise great power but whose names and faces are unrecognized by many Americans and whose work often appears cloaked in mystery. How do cases get to the Supreme Court? How do the justices go about deciding them? What special role does the chief justice play? What do the law clerks do? How does the court relate to the other branches of government? Greenhouse answers these questions by depicting the justices as they confront deep constitutional issues or wrestle with the meaning of confusing federal statutes. Throughout, the author examines many individual Supreme Court cases to illustrate points under discussion, ranging from Marbury v. Madison, the seminal case which established judicial review, to the recent District of Columbia v. Heller (2008), which struck down the District of Columbia's gun-control statute and which was, surprisingly, the first time in its history that the Court issued an authoritative interpretation of the Second Amendment. To add perspective, Greenhouse also compares the Court to foreign courts, revealing interesting differences. For instance, no other country in the world has chosen to bestow life tenure on its judges. A superb overview packed with telling details, this volume offers a matchless introduction to one of the pillars of American government. The Center for Diversity and Democracy (CDD) at the University of Southern California invites applications for a two-year Andrew W. Mellon Postdoctoral Teaching Fellowship in Civic Engagement, beginning Fall 2012. Scholars investigating any aspect of civic engagement in the humanities or humanistic social sciences from any disciplinary perspective are encouraged to apply. The fellowship has an annual salary in the first year of $59,000, plus fringe benefits and a yearly $2,000 research/travel allowance. The fellow will teach one course per semester in USC Dornsife College and participate in relevant CDD programs. The USC CDD is affiliated with the Department of American Studies and Ethnicity and works with faculty members, Ph.D. students, undergraduate students, and community partners to enhance, explore and develop strong connections between efforts of university-community civic engagement and the diversity of university faculty and students. The CDD focuses on research that stresses imagining a future for Los Angeles and other global metropolitan areas of racial equity and social justice, empowering various communities to come together and work in harmony. This research may explore the past, present, or future of these regions, as well as comparisons across national and continental boundaries. To apply, please register your interest in applying at the USC jobs Web site. Please reference requisition #012760. In addition, please submit the following materials to pleiva@usc.edu : a cover letter discussing research, publication, and civic engagement goals and teaching, a C.V., a dissertation abstract, and a writing sample. Two letters of recommendation should be submitted directly by the referees to the above email address; at least one of them must discuss the applicant’s teaching abilities. The deadline for receipt of all materials is April 6, 2012. To be considered, candidates must have completed all of the requirements for the Ph.D. by August 15, 2012. Review of applications will begin immediately and will continue until the position is filled. All inquiries about this position should be directed to pleiva@usc.edu. Information about CDD programs can be found here. USC strongly values diversity and is committed to equal opportunity in employment. Women and men, and members of all racial and ethnic groups, are encouraged to apply. In 1945, American judges decided the first court cases involving assisted conception. The challenges posed by assisted reproductive technologies to law and society made national news then, and have continued to do so into the twenty-first century. This article considers the first technique of assisted conception, artificial insemination, from the late nineteenth century to 1945, the period in which doctors and their patients worked to transform it from a curiosity into an accepted medical technique, a transformation that also changed a largely clandestine medical practice into one of the most pressing medicolegal problems of the mid-twentieth century. Doctors and lawyers alike worried whether insemination using donor sperm was adultery by doctor, producing illegitimate offspring. Drawing upon the legal and scientific literatures, case law, popular sources and medical archives, I argue that insemination became identified in medicine and law as a pressing problem at mid-century after decades of quiet use because of the increasing success of the technique, increasing patient demand, and increasing use -- three interrelated trends that led to increasing numbers of babies whose origins were “in the test tube.” In examining the history of a medical procedure becoming a legal problem, I also trace the development of a medical practice in the face of legal uncertainty and the shifting control of the medical profession over assisted conception. I argue that doctors modified the way they treated patients in response to perceived social and legal condemnation of artificial insemination, keeping tight control over all aspects of the procedure, but that doctors’ persistence in meeting patient demand for fertility treatments despite such condemnation helped make artificial insemination into a medicolegal problem. Once it became identified as a medicolegal problem, artificial insemination became the subject of a broad social discussion, in which medical voices did not receive automatic deference, and medical control was challenged. The Ted White Q&A continues with a question that follows up on yesterday's inquiry about methodology. Q: Following up on that last question, would you characterize your work as "generational" in the sense of representing interests and concerns that occupied legal historians who entered the field at a particular time? How do you feel your work relates to the interests and concerns of entering and junior scholars in American legal and constitutional history or judicial biography? A: All of us who started doing scholarship in American legal history in the 1970s have been shaped by the experience of attempting to undertake a scholarly enterprise for which there was very little institutional support in the academy, either from law schools or history departments. When we first went on the academic market, most law schools regarded doing history as either an antiquarian exercise or a "prologue" to debates on contemporary issues, and most history departments had turned to social history, quantitative analysis, and behavioralist theories of judging. Applying intellectual history to themes in constitutional law, which is what I anticipated doing, was particularly out of phase. 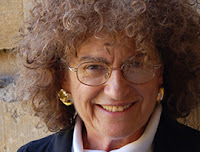 In some respects the low reputation of legal and constitutional history worked as a stimulus for many of us: since there had been very little serious scholarship in those fields in the 1950s and 1960s, we felt there was a lot of topics on which we could make contributions, so long as we could get over the lack of institutional support. By the late 1970s we had "succeeded" in the sense that most of the major law schools and history departments had at least one person whose primary academic interest was legal history. But a number of historians in my age cohort became fixated on what sort of methodological approaches were "appropriate" for the field, which lead to interpretive disputes that were taken as having ideological ramifications, in my judgment producing turf battles that were distracting and sometimes unpleasant. Fortunately, instead of the field becoming dysfunctionally polarized, two methodological approaches that were initially on opposite ends of the political spectrum--the deconstructive techniques associated with critical legal studies and the turn to originalism by constitutional scholars provoked by "living constitution" models of constitutional interpretation--became domesticated by 'mainstream' historians of private and public law, creating a number of relatively novel and promising ways of interpreting legal texts. Eventually people in the legal academy without historical training, and historians without legal training, found that they could learn to "unpack" historical legal documents by focusing on the ways in which the legal arguments of historical actors were constructed, revealing their "shared understandings," that is to say their starting epistemological assumptions and normative premises. 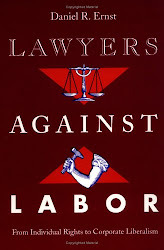 Accompanying that expansion of the community of people interested in doing legal history came a realization that law was, as Robert Gordon put it in a series of influential arguments between the mid 1970s and the early 1980s, "relatively autonomous," neither "mirroring" its cultural context nor being wholly isolated from it. There is a fair amount of 'lost history' in Law in American History, Volume One. I take up Amerindian tribal 'law,' a set of deeply entrenched customs and practices for engaging in social transactions and identifying or resolving disputes, and its 'obliteration' in colonial American courts as part of the process by which tribes were marginalized as European settlement of the North American continent expanded. 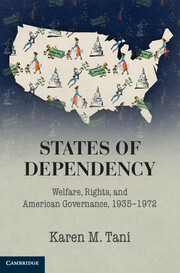 I take up the affinities between southern agricultural households based on African slave labor and northern agricultural households based on indentured servitude, apprenticeships, and wage labor that enabled representatives from northern, middle, and southern colonies to forge common bonds, despite their different labor systems, in opposition to the governance of the American colonies by Great Britain in the decades prior to independence. I recover the process by which the Constitution of the Confederate States of America was drafted and implemented, and the inability of the participants in that process to establish a Supreme Court for the Confederacy, thereby assuring that even military decisions affecting the course of the war across the territory of the Confederate states were made at the sufferance of individual states. I discuss the importance, to the outcome of the Civil War, of the decision by a Supreme Court composed of three justices newly appointed by Lincoln in The Prize Cases, which sustained the constitutionality of Lincoln's action blockading southern ports on the ground that Confederate states were "belligerents," but at the same time declined to afford the Confederacy status as an independent sovereign nation, thereby allowing a subsequent Court to declare, after the war's end, that all the laws of the Confederacy had been nullities, not only of no effect but of no legal status whatsover. All by way of saying that although each generation of legal historians has its own formative experiences that help shape the substantive and methodological priorities of its members, I would hope that there are some dimensions of Law in American History that might resonate with those entering the field. Our Q&A series with Ted White continues. The point of departure for today's question is White's new book, Law in American History, Volume One, its methodological approach, and White's views on methodology, more generally. As you'll see, White doesn't like to be pinned down! You may listen to the book panel session that White references below here or watch it here. The panel took place at the University of Virginia last month; along with White, it featured John Witt (Yale), Fred Konefsky (SUNY-Buffalo), and me. Q: Some visible legal historians derive their visibility in part from being identified with a particular approach to the field--Willard Hurst, Morton Horwitz, and Lawrence Friedman come to mind. You don't seem to have been identified with any particular approach, either methodological or substantive. Do you feel your scholarly career has some common methodological or substantive themes? A: At a February 27 conference on Law in American History, Volume One, each of the panelists made an effort to say something about my general approach as a legal historian. Tomiko Brown-Nagin suggested that I "take law seriously" in the sense of paying close attention to legal doctrine, judicial interpretation, and the importance of legal institutions in American culture. Fred Konefsky compared my new book to The American Judicial Tradition, claiming that one way to think of the book was as an effort to sketch an "American legal tradition," using its central themes as the equivalent of the interconnected essays on judges I produced in that earlier volume. John Witt felt that my approach in Law in American History was "optimistic" about law in that the book sought to demonstrate the persistence and stability of law and legal institutions in American history, despite their being buffeted about by disintegrative social, political, intellectual, and military pressures emanating from the larger culture. I don't really disagree with those assessments, but I don't want to convey the impression that by "taking law seriously," sometimes giving close attention to its deliberative processes and modes of reasoning, and emphasizing its centrality as a force for social cement in American culture, I am associating myself with an "internalist" perspective on the fields of legal and constitutional history, or with the view that law is an essentially autonomous discipline or profession, or with a claim that the "rule of law," as an aspirational vehicle in America, has consistently triumphed over the course of American history. I have said in other places that I find distinctions between "internalist" and "externalist"scholarship not particularly useful generally and not at all useful as applied to my work. As I say in Law in American History, I find the relationship between law and its cultural context to be reciprocal, with law being both constitutive and reflective of that context. One could say that I start in the book with "external" matters, central themes of American history, and seek to fit law around them, but in the course of the fitting I emphasize the reciprocal relationship between law and those themes, so that law and legal institutions take on a certain degree of autonomy. I also reject any implication that if one seeks to emphasize the central role of law as an aspirational force in American culture, that necessarily means one is setting forth a triumphalist account of a society dominated by the "rule of law." Law in American History is a narrative about how, in some respects, law and legal institutions failed to resolve divisive cultural tensions, leading to convulsion and the prospect of the disintegration of the American republic. It is also about how law and legal institutions contributed to the emergence of those tensions. In my view the centrality of law in America has been for worse as well as for better. Monday's on-line issue of the Iowa City Press-Citizen has a nice story on Professor Linda Kerber on her impending emerita status ay the University of Iowa. Contemporary critiques of legal education abound. This arises from what can be described as a perfect storm: the confluence of softness in the legal employment market, the skyrocketing costs of law school, and the unwillingness of clients and law firms to continue subsidizing the further training of lawyers who failed to learn how to practice in law school. As legal jobs become more scarce and salaries stagnate, the value proposition of law school rightly is being questioned from all directions. Although numerous valid criticisms have been put forth, some seem to be untethered from a full appreciation for how the current model of legal education developed. Indeed, a historical perspective on legal education is sorely missing from this debate, as many of the criticisms merely echo charges that have been lodged against legal education for well over a century, but do not draw lessons from how those former critiques ultimately failed to deliver fundamental change. This Article reviews the historical development of legal education in America, including the critiques and reforms made along the way, to see what insight we can gain that will inform our own efforts to make law schools better at preparing lawyers for practice. Later this week (March 30-31) the University of Michigan, Ann Arbor, will host a conference on Law and Human Rights in Global History. Here's the description. The twenty-first century has seen increased concern for human rights and anguished debates about what laws should be applied in what ways to protect those rights. This conference will examine how global historical approaches can deepen understanding of the issues of human rights, how conceptions of human rights spread and are resisted, and the effects of treating these issues as matters of law. Experts from different disciplines will address significant issues in legal approaches to human rights and suggest directions for future research: Law is not always on the side of human rights—as shown in the first session, on slavery and human rights. The meaning of human rights shifts in times of crisis—as revealed in the second session on refugees. International courts can be awkward instruments—as explored in the third session. The very history of human rights is controversial—what are its origins?, is it a Western imposition?, how should this history be studied? Two special lectures will treat these issues. The approach of global history raises questions about how and why the concept has spread—which is the topic of the fourth session—and about the cultural complexity of human rights, which is the topic of the final session. In addition two leading experts discuss their experience of the uses of law and of history with regard to human rights in talks open to the public following dinners on Friday and Saturday evening. The conference is free and open to the public. For more information and a full schedule of events, follow the link. In 1935 a federal court judge handed down a ruling that could have been disastrous for Mexicans, Mexican Americans, and all Latinos in the United States. However, in an unprecedented move, the Roosevelt administration wielded the power of "administrative law" to neutralize the decision and thereby dealt a severe blow to the nativist movement. A Quiet Victory for Latino Rights recounts this important but little-known story. To the dismay of some nativist groups, the Immigration Act of 1924, which limited the number of immigrants who could be admitted annually, did not apply to immigrants from Latin America. In response to nativist legal maneuverings, the 1935 decision said that the act could be applied to Mexican immigrants. That decision, which ruled that the Mexican petitioners were not "free white person[s]," might have paved the road to segregation for all Latinos. The League of United Latin American Citizens (LULAC), founded in 1929, had worked to sensitize the Roosevelt administration to the tenuous position of Latinos in the United States. Advised by LULAC, the Mexican government, and the US State Department, the administration used its authority under administrative law to have all Mexican immigrants—and Mexican Americans—classified as "white." It implemented the policy when the federal judiciary "acquiesced" to the New Deal, which in effect prevented further rulings. In recounting this story, complete with colorful characters and unlikely bedfellows, Patrick Lukens adds a significant chapter to the racial history of the United States. Lukens teaches History and Political Science at Eastern Arizona College. The rest of the issue is rich: Subscribers may access Michael Ignatieff's review of All the Missing Souls: A Personal History of the War Crimes Tribunals (Princeton University Press), by David Scheffer, David Cole's review of Flagrant Conduct, by Dale Carpenter (mentioned in last week's round-up, here), and much more, here. Mr. Gould rightly emphasizes the importance of law—both national and international—to sovereignty. He argues that "the drive to be accepted as a treaty-worthy nation in Europe" shaped the early Republic at least as much as republican ideals. The United States accepted the norms of international treaties and diplomatic custom—the obligation to respect the persons and property of foreign subjects, for instance, or to exercise military force within the emerging laws of war. Just as important, the new nation worked to bring the territories it claimed for itself under legal authority. Sovereignty had to be exercised as well as recognized. Also covered in the WSJ: Two recently published biographies of James Madison (here) and Why Nations Fail: The Origins of Power, Prosperity, and Poverty (Crown), by economists Daron Acemoglu and James A. Robinson (here). [L]ike most political decisions, Reagan’s sacking of PATCO wasn’t so much a pure expression of composure and principle as it was the unanticipated outcome of a convergence of far messier, contingent and nonideological forces. Joseph McCartin, a professor of US history at Georgetown University, patiently lays out the full background and aftermath of the PATCO tragedy in Collision Course, an absorbing, detailed and shrewdly observed chronicle of the strike and PATCO’s unlikely rise and fall. The new Henry Friendly biography continues to attract attention. The latest review is from Adrian Vermeule, writing for the New Republic: The Book, here. After all, claims Sarna, [Grant] spent much of his life atoning for General Orders No. 11 [expelling "Jews, as a class" from the area then under Grant's control]. Instead of demonizing the man, history—or more to the point, American Jewish history—would do well to forgive him. But then Sarna goes one better, arguing that on Grant’s watch American Jewry actually flourished beyond its wildest expectations. In Sarna’s view, American Jewry’s sour grapes ought to give way to gratitude. Joselit describes the book as "richly researched," but ultimately "more suggestive than persuasive." For an abridged version of the argument, check out Sarna's recent piece in Slate, here. The Righteous Mind: Why Good People Are Divided by Politics and Religion (Pantheon), by social psychologist Jonathan Haidt (here). "Like other psychologists who have ventured into political coaching, . . . Haidt argues that people are fundamentally intuitive, not rational. If you want to persuade others, you have to appeal to their sentiments." The Papers of Thomas A. Edison, Volume 7: Losses and Loyalties,April 1883-December 1884 (The Johns Hopkins University Press), edited by Paul B. Israel, Louis Carlat, Theresa M. Collins and David Hochfelder (here). Expect further installments -- eight more, to be precise. Also in the NYT: a friendly debate on "The Quandary of the Book Blurb." Around the Colloquia: Malick Ghachem, Maine Law, presented "The Legal History of Prisoner Voting: A View from the Northeastern United States” to his faculty’s workshop. Nathan Perl-Rosenthal, USC, presented “Sailors Before the Law and the Making of Republican Cosmopolitanism” to the USC Law, History and Culture Workshop. Catherine Macmillan, Queen Mary School of Law, presented her paper The Confederate's Last Battle: Judah Benjamin's Legal Defence of Confederate Assets in England to the London Legal History Seminar on March 23. (Hat tip: Edinburgh Legal History Blog.) And, although we're getting a little ahead of ourselves, William R. Casto, Texas Tech University School of Law, will be on a panel on the Background and Purpose of the Alien Tort Statute at a conference on act at the Georgetown University Law Center on March 27. In case you missed it on H-Law, Joel Fishman, the Assistant Director for Lawyer Services at the Duquesne University Center for Legal Information, has compiled an excellent index to the Journal of Supreme Court History, which is available on the website of the Supreme Court Historical Society. The Yale Law Library Rare Books Blog has been spotlighting treasures from the Library's "Monuments of Imperial Russian Law" exhibition. Check out the posts here. Over at Balkinization, Mark Tushnet (Harvard Law School) compares the Roberts Court's recent decision on effective representation in plea bargaining to the Warren Court's decision in Terry v. Ohio. He asks which court is more "constitutionally ambitious." The bloggers at In Custodia Legis compiled a nice post this week celebrating the bicentennial of the Spanish Constitution of 1812. In a post to the Jackson List, mostly devoted to the letter he and Brad Snyder located that sheds light on Justice Rehnquist's view of Brown while clerking for Justice Jackson, John Q. Barret added this link to a recording to Barrett Prettyman's recollection of his selection as Justice Jackson's clerk to follow Rehnquist (and another clerk). 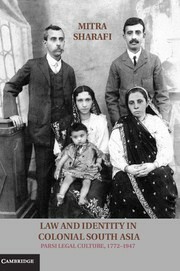 Proposals are invited from members of the American Society for Legal History interested in joining an ASLH-sponsored panel at the Israeli Legal History Association's annual conference to be held 15 October 2012 in Jerusalem. (1) "This year we intend to focus on the variegated ways in which research in legal history is conducted and the challenges presented by different sources used by scholars in general and researchers of the history of local law in particular. Those presenting papers that do not directly address this theme, will be requested to devote part of their presentation to the sources they use in their research. (2) "We intend to devote a plenary panel to debate archival research and its challenges. (3) "We are also interested in proposals concerning the history of foreign legal systems from all periods and areas. We will also be happy to receive proposals addressing additional methodological and historiographical questions. We invite proposal from scholars from various areas such as Law, Humanities and Social Sciences. The Association seeks to include presentations by advanced graduate students." Participants on the ASLH panel will be selected with the following criteria in mind: appropriateness to the conference theme; historiographical/substantive originality; thematic unity for a single panel; and capacity to engage with an Israeli scholarly audience. The conference language will be Hebrew; the ASLH panel will be conducted in English. Paper proposals submitted for the ASLH panel but not selected will be forwarded to the conference organizers for their consideration. Participants in the ASLH panel will be expected to seek funding support from their home institutions to meet the costs of conference attendance. Some limited "top-up" support (maximum $5000 for the panel as a whole) will be available for those participants whose home institution will not meet their full expenses. Proposals should consist of (a) a 250 word synopsis of the proposed paper, and (b) a US$ estimate of the prospective participant's expenses accompanied by a reliable estimate of the amount of US$ funds available to the prospective participant to meet those expenses. Proposals should be sent by email attachment to ctomlins@law.uci.edu. Deadline for receipt of proposals is 30 April 2012. Columbia Journalism School and the Nieman Foundation for Journalism have named the 2012 winners of the Lukas Prize Project Awards. A Vanderbilt University professor has won the 2012 J. Anthony Lukas Book Prize for his sensitive account of the fine line people of mixed race have tread in the United States since the nation’s beginning. The Mark Lynton History Prize will go to a University of Virginia professor for her unusual and groundbreaking work on the history of common sense. 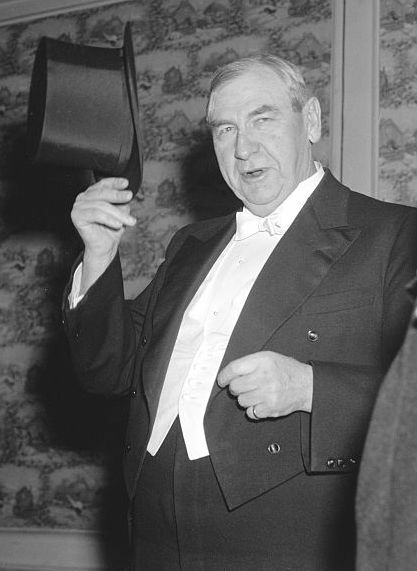 The J. Anthony Lukas Work-in-Progress Award was won by a former A.P. reporter and editor who is completing a book on the world’s inability to help Haiti. The judges said of The Invisible Line: Three American Families and the Secret Journey from Black to White (Viking Press) by Daniel J. Sharfstein, an associate professor of law at Vanderbilt University: “The book makes real the fact that, not so long ago, American citizens were forced into hiding their lineage and identity just to live free in this democracy, the perils and sense of loss, no matter which road they chose, and the price being paid even to this day by their descendents, and by extension, all of us.” The winner of the J. Anthony Lukas Book Prize receives $10,000. One finalist was named: the late Manning Marable for Malcolm X: A Life of Reinvention (Viking Press). Sophia Rosenfeld’s Common Sense: A Political History (Harvard University Press) is an “…extraordinary, wide-ranging, and original work that takes on the unexpected topic of common sense (what everyone knows), gives it a history, and shows how central it is for the evolution of our modern understanding of politics,” the judges said. Rosenfeld is a professor of history at the University of Virginia. The winner of the Mark Lynton History Prize receives $10,000. The judges named two finalists: Michael Willrich, for Pox: An American History, (Penguin Press), and Craig Harline for Conversions: Two Family Stories from the Reformation and Modern America (Yale University Press). Established in 1998, the prizes recognize excellence in nonfiction that exemplify the literary grace and commitment to serious research and social concern that characterized the work of the awards’ Pulitzer Prize-winning namesake, J. Anthony Lukas, who died in 1997. One of the three Lukas Prize Project Awards, The Mark Lynton History Prize, is named for the late Mark Lynton, a business executive and author of Accidental Journey: A Cambridge Internee’s Memoir of World War II. Lynton was an avid proponent of the writing of history and the Lynton family has sponsored the Lukas Prize Project since its inception. I am pleased to announce the Legal History Blog’s new Facebook administrators, Winston Bowman and Colin Wilder. Winston and Colin will be helping with the daily administration of the blog’s Facebook page. Colin Wilder is a legal historian of early modern Europe and is currently working on a book manuscript on “Property and the German Idea of Freedom, 1648-1806.” He recently received his PhD from the University of Chicago and is a Solmsen Fellow at the University of Wisconsin-Madison’s Institute for Research in the Humanities. Thanks and welcome to Colin and Winston! Next week the John Jay College of Criminal Justice will be holding its Third Biennial Literature and Law Conference. The conference runs from a keynote on the evening of Thursday, March 29--Amartya Sen’s lecture, "Law and Ideas of Justice"–and continues throughout the day on Friday, March 30. Several session will be devoted to Sen’s work; another featured speaker is George Anastaplo, Loyola University of Chicago School of Law, whose lecture is "Justice and Community, Ancient and Modern.” A session will take up Anastaplo’s landmark civil liberties case; participants will include Roger Newman, Hugo Black’s biographer and the editor of the Yale Biographical Dictionary of American law, and Judge Jed Rakoff. Many legal historians would find papers of interest in the other sessions; I’ll note several devoted to satire, with speakers drawn from academia and from the media, including writers for The Onion and the Daily Show. The complete program is here. On Balkanization, Philip Bobbit argues that the Affordable Care Act could be appropriate as a national defense measure, based on Congress’s constitutional power to tax and spend for the common defense. Although he does not make a Commerce Power argument, it is also the case that the broadest uses of the Commerce Power upheld by the Supreme Court (Katzenbach v. McClung and Wickard v. Filburn) involved national defense matters. 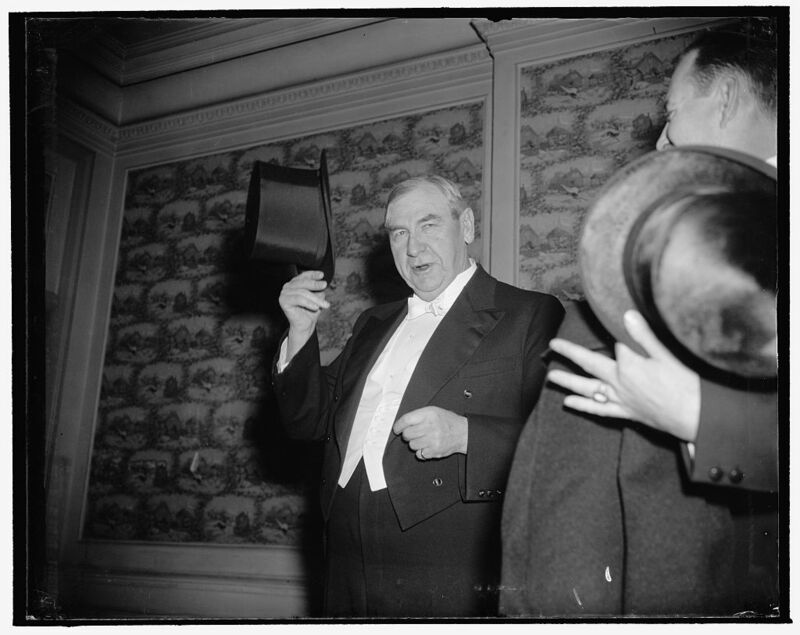 “Overshadowing everything is the world crisis," Wickard argued in the May 19, 1941 speech. The times through which we are passing will decide what kind of a future the United States will have. We are determining whether we intend to remain a great democracy, and perhapsa great world power. We must plan our lives and everything we do in the light of the world situation. What farmers plant and when they plant it is directly affected by the titanic struggle going on overseas. I will leave to Bobbit the argument that the Affordable Care Act furthers U.S. national security. If there is a national security basis for the ACA, there is also a well-established history of the use of broad Commerce Powers to further U.S. national security. H-Law’s webpage is out of date and needs a major overhaul. In the past, Chris Waldrep, H-Law lead moderator, was in charge of maintaining and revising H-Law’s webpage. Unfortunately, for reasons already known to the list, Chris can no longer provide this service. The H-Law editorial board is taking this opportunity to formalize the editing of the webpage with the addition of a webpage editor. Knowledge of HTML is not required but is preferred. Experience working with web-editing programs such as FrontPage or Dreamweaver, as well as FTP transfer programs (to download and upload the webpage from H-Net’s servers), is necessary however. Content for the webpage will be the joint responsibility of the list moderators and the webpage editor. The webpage editor will become a full member of the H-Law editorial board, as well as a voting member of H-Staff, the governing body for H-Net, upon certification by H-Net. Interested applicants should send a letter of interest and a CV to zelden@nova.edu. Review of applications will begin in April. The position will remain open until filled. Saul Cornell's posts on Originalism during his guest stint at Faculty Lounge are so over the top that perhaps they make this point on their own. But in case it needs to be said: it's not effective to paint other scholars as cartoonish with posts that are themselves cartoonish. Cornell has made important scholarly contributions in the past. He threatens his own future readership with blogging that brings more heat than light to the question of the role of history in constitutional interpretation. We don't like it when conservatives mischaracterize scholarship for the purpose of constructing an argument. And we don't like it when liberals do that, too. 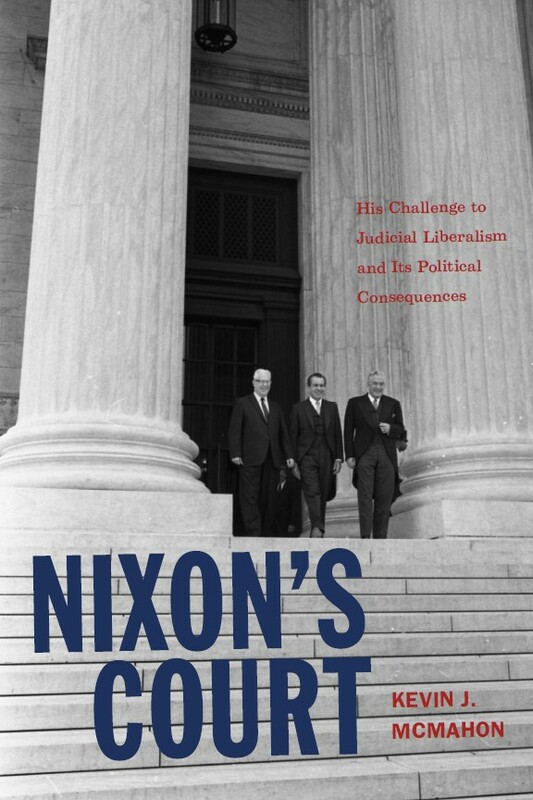 In Nixon’s Court, presidential scholar Kevin J. McMahon offers a persuasive revisionist account of the judicial legacy of Richard Nixon. Critics argue that Nixon waged a jurisprudential “counter-revolution” against the Warren Court that eventually “failed” (Dworkin 1972; Blasi 1983). Using archival records, McMahon argues that the judicial nominations and legal actions Nixon undertook during his first term were driven by “politics far more than ideology” (p.6). Rather than total revolt against the Warren Court, McMahon posits, Nixon engaged in a limited, opportunistic strategy. He publicly opposed judicial decisions in a few politically potent areas –busing for school desegregation and crime – and put political symbolism over ideology when selecting Supreme Court nominees. Nixon did this seeking to expand his Republican base with two components of the New Deal Democratic coalition: southerners and working-class, often Catholic voters in the urban North. But even in the areas of school desegregation and crime he made little attempt to overturn Warren-era precedents or to refuse to enforce Supreme Court’s decisions. He even benefitted from public perception and backlash against the Court. Based on his re-election in 1972 and later decisions concerning crime and busing, McMahon concludes, “on the issues Nixon most cared about” he essentially got what he wanted (p.252). McMahon situates Nixon’s approach to the courts within the context of his narrow victory in 1968 and the re-election battle he expected in 1972. Facing Democrat Hubert H. Humphrey and the independent candidacy of Alabama Gov. George C. Wallace, Nixon needed to construct an electoral majority by adding disaffected Democrats without losing his GOP base. Bach, "Mobilization and Poverty Law"
Marshall reviews Farhang, "The Litigation State"
Nelson, "A Critical Guide to Erie . . ."
Tomiko Brown-Nagin wins the Bancroft! Sturtz Reviews Tomlins's "Freedom Bound"
Ted White Q&A: Why Three Volumes? Mack Reviews Brown-Nagin's "Courage to Dissent"